This delightful tankard is a great gift for a proud grandparent to give to their little grandchild. 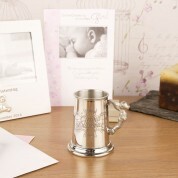 The high quality piece is an ideal present for a baby shower, Christening, Baptism or a Birthday. 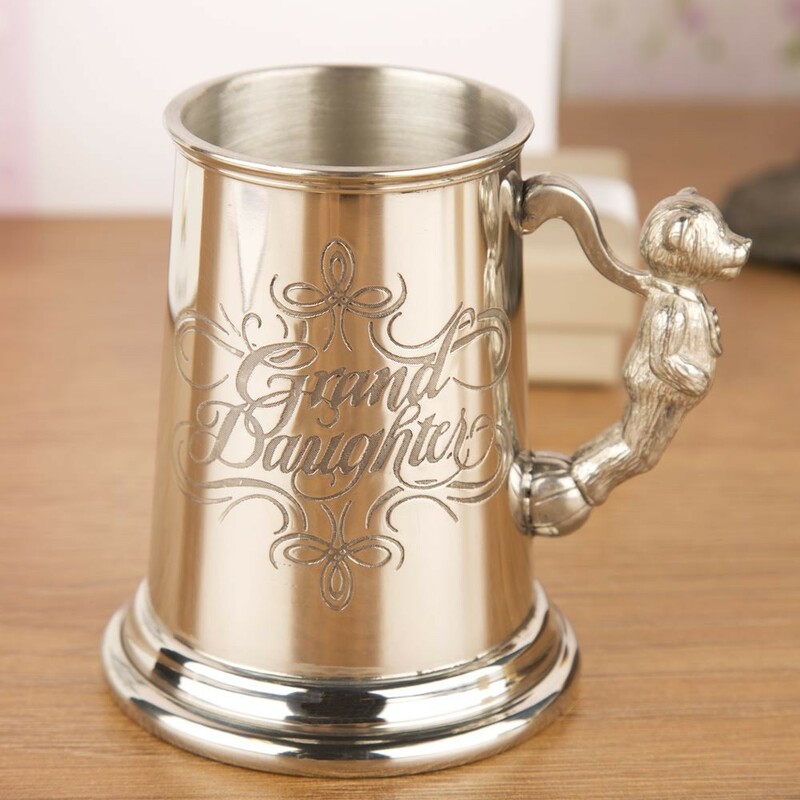 It would make a wonderful addition to any Grandchild's bedroom or nursery, a present she will know came especially from you. 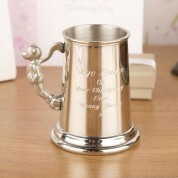 The tankard has Grand Daughter stamped on to the pewter on the front with a decorative border. The other side can be personalised with a message of your choice, we suggest around 50 words to ensure that it fits perfectly. 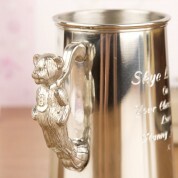 Presented in a lovely gift box, it is a wonderful way to let your little one know how special they are to you.